Approaching the clubhouse on the No. 9 fairway at Old Waverly. ‘Find Your True South’ once was the state’s tourism motto, and while it’s been replaced with a simple “Visit Mississippi,” the two slogans are a call to action for those looking for a fun – and if you’re a northerner, different – vacation destination. 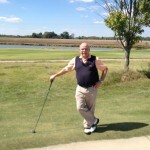 My brief visit to Mississippi was limited to two cities never before on my travel or golf itinerary – Tunica (sometimes called, Tunica Resorts) and West Point. Tunica, about 35 miles south of Memphis, Tenn., is located on the broad, flat Mississippi delta. With its rich riverbed soil, it was a vast agricultural area until legislation passed in 1990 that allowed gambling on the Gulf of Mexico and its tributaries. Unlike most things that would rather flow downstream than up, it wasn’t long before gambling went upstream on the mighty Mississippi, and Tunica became a major gaming destination. Today, Tunica has eight resort casinos, and two local golf courses – Tunica National Golf and Tennis and River Bend Links Golf Course. In accordance with the law, each of the gaming floors float on the river or a natural or manmade tributary. In most cases, you wouldn’t even know you’re on a floating gaming floor, although at some casinos a view of the water below is part of the architecture. 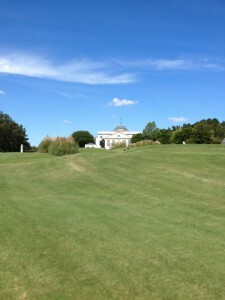 We played only one of the golf courses, Tunica National. A municipal course designed by Mark McCumber, it’s a par 72 that checks in at 7,204 yards from the black, championship tees and 5,180 yards from the front-most, white tees. As you’d expect on a riverbed delta, the course is broadly open and mostly flat with some mounding, fluffy sand bunkers and lovely ponds. You wouldn’t want it any other way. The club also has an impressive indoor tennis facility and a bar/restaurant that serves a nice selection of entrees, sandwiches and delightful fried pickles. 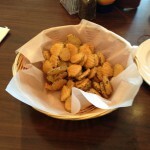 These deep-fried hamburger dill chips are a must-try, although our host, Bill “Mr. 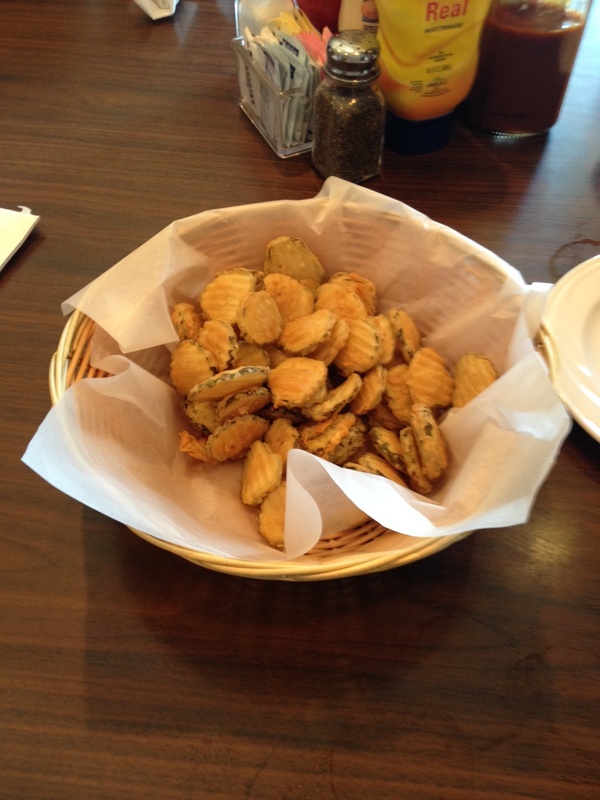 Tunica” Canter, director of sales and marketing for the Tunica Convention and Visitors Bureau (CVB), said the official ‘home’ of the deep fried pickle is the nearby Hollywood Café. According to the CVB’s Lisa Konupka, Tunica National’s restaurant, Murphy’s Bar and Grill, also is a favorite after-work spot of locals, noting Kathy’s Escape, a concoction of fruit juices and liquors, is a “one and done” specialty. 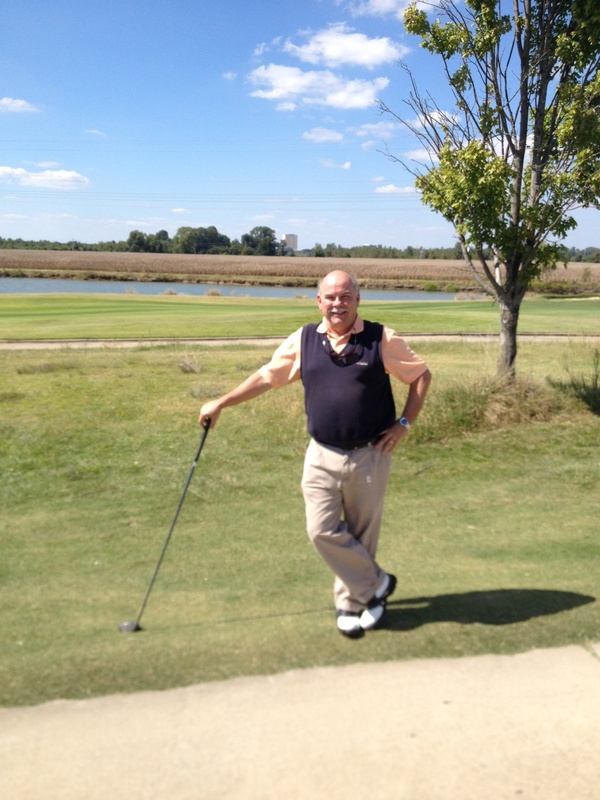 The Tunica course is a fun one, with water hazards awaiting your ‘mistakes.’ I lost a few balls there, but enjoyed the openness of the course, and the views of farm fields, ‘distant’ resorts and the down home ambiance of the area. For those who love gaming, luxury accommodations and a little golf, Tunica is a great destination. Old Waverly Golf Club, nestled in the hills area of Mississippi in the city of West Point, offers a totally different Southern experience. 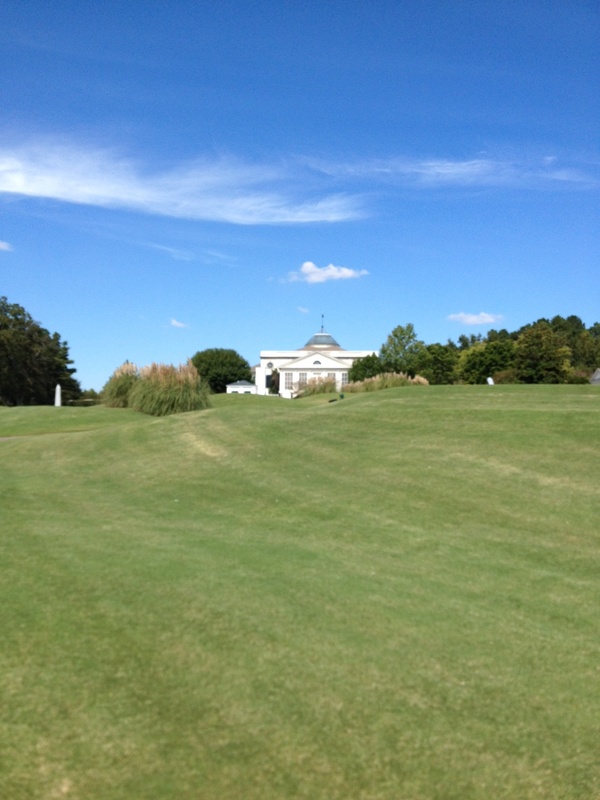 Opened in 1988 by developer George Bryan, his wife, Marcia, and 29 other founders, the 360-acre Old Waverly golf club community consists of large estate homes, cottages, condominiums and two-story villas surrounding a Jerry Pate and Bob Cupp-designed championship golf course and the stately Waverly Mansion clubhouse. 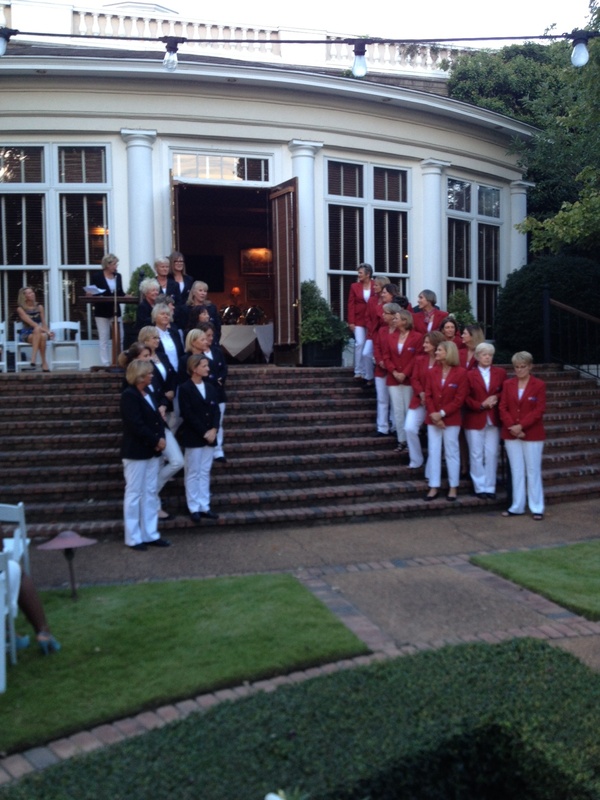 LPGA Legends are introduced in Handa Cup opening ceremonies at Old Waverly. Recent host to the 2014 ISPS – International Sports Promotion Society – Handa Cup, the club was nothing short of glorious. Teaming the U.S.-born LPGA Legends against the internationally born LPGA Legends in a Ryder-Cup style competition (minus all the boys’ drama!) amid Old Waverly’s beautiful surroundings and stunning course was a perfect match. Scenic, stately and gently sprawling, Old Waverly is a private club, whose public play is limited to members and those staying on property in any of the rentable units. And what a lovely place to stay! Our villa was a three-bedroom. Up the stairs and you’re in a nice sized living space with full kitchen, 3 baths, dining/living great room and balcony that overlooks the course. 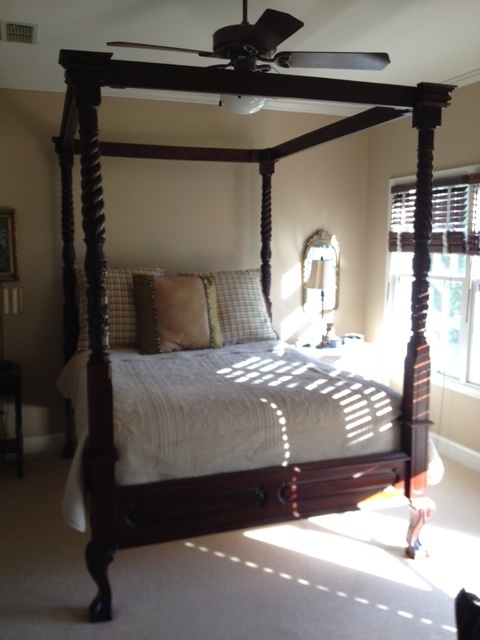 It was furnished with antiques, including a vintage four-poster bed in the master bedroom and some shabby chic touches – all well done, except for the over-the-top red-red restroom, which was a conversation starter anyway. 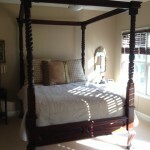 Four-poster bed in Old Waverly golf villa — all are uniquely furnished! 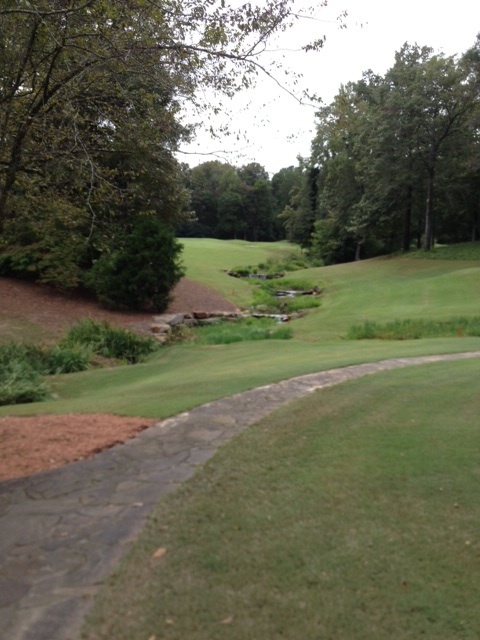 The Old Waverly course is a very playable track for golfers of all levels. 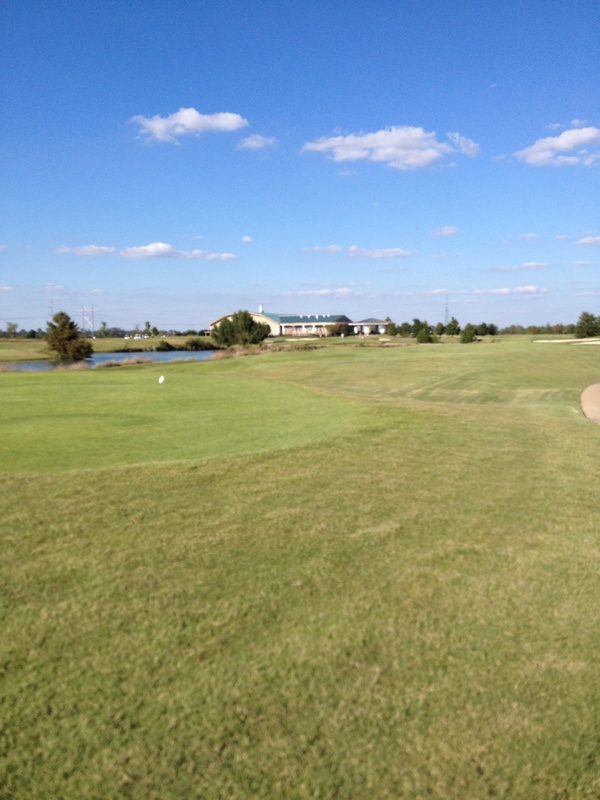 A par 72 course, it measures 7,088 yards from the tips and 5,126 yards from the front, red, tees. For the most part the, the fairways are wide and forgiving, although dotted with ‘welcoming’ bunkers. When we played, the greens were hard and fast, but true, requiring a careful read and patient, soft touch. My favorite holes are the No. 7, par 3, with its bridge and babbling brook, and the No. 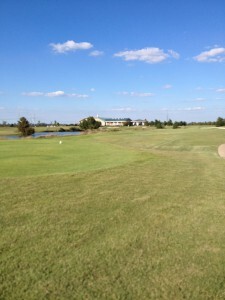 9, par 5, which offers an expansive, grand view of the Old Waverly Clubhouse. I also like the 6th hole, which puts a blind water hazard into play for long hitters, but has its own unexpected beauty once you get to the pond and green. 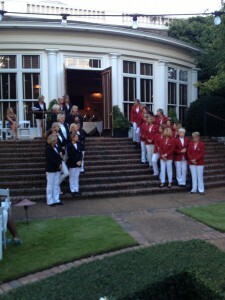 Participating in the Handa Cup opening ceremonies and Pro-Am, and staying on site, we also enjoyed several Old Waverly buffets, which featured well-prepared and nicely presented food, in the spacious Waverly mansion.